VANCOUVER, BC - Over the past six months, the Greater Vancouver housing market has seen a reduction in the number of homes listed for sale, a gradual moderation in home prices and a decrease in property sales compared to historical averages. The Real Estate Board of Greater Vancouver (REBGV) reports that residential property sales of detached, attached and apartment properties reached 1,686 on the region’s Multiple Listing Service® (MLS®) in November, a 28.6% decline compared to the 2,360 sales in November 2011 and a 12.7% decline compared to the 1,931 home sales in October 2012. November sales were 30.3% below the 10-year November sales average of 2,420. “Home sellers appear more inclined to remove their properties from the market today rather than lower prices to sell their properties. On the other hand, buyers appear to be expecting prices to moderate,” Eugen Klein, REBGV president said. New listings for detached, attached and apartment properties in Greater Vancouver totalled 2,758 in November. This represents a 14.4% decline compared to November 2011 when 3,222 properties were listed for sale on the MLS® and a 36.2% decline compared to the 4,323 new listings in October 2012. New listings were 12.9% below the 10-year November average of 3,168. At 15,689, the total number of residential property listings on the MLS® increased 13% from this time last year and declined 9.7% compared to October 2012. Total listings in the region have declined by nearly 3,000 properties since reaching a peak of 18,493 in June. The region’s sales-to-active-listings ratio was unchanged from October at 11%. Since reaching a peak in May of $625,100, the MLS® Home Price Index composite benchmark price for all residential properties in Greater Vancouver has declined 4.5% to $596,900. This represents a 1.7% decline when we compared to this time last year. Sales of detached properties in Greater Vancouver reached 629 in November, a decrease of 31.3% from the 916 detached sales recorded in November 2011, and a 40.1% decrease from the 1,050 units sold in November 2010. Since reaching a peak in May, the benchmark price for a detached property in Greater Vancouver has declined 5.5% to $914,500. Sales of apartment properties reached 750 in November 2012, a 25% decrease compared to the 1,000 sales in November 2011, and a decrease of 28.7% compared to the 1,052 sales in November 2010. Since reaching a peak in May, the benchmark price for an apartment property in Greater Vancouver has declined 3.9% to $364,900. Attached property sales in November 2012 totalled 307, a 30.9% decrease compared to the 444 sales in November 2011, and a 24.6% decrease from the 407 attached properties sold in November 2010. Since reaching a peak in April, the benchmark price for an attached property in Greater Vancouver has declined 3.6% to $454,300. 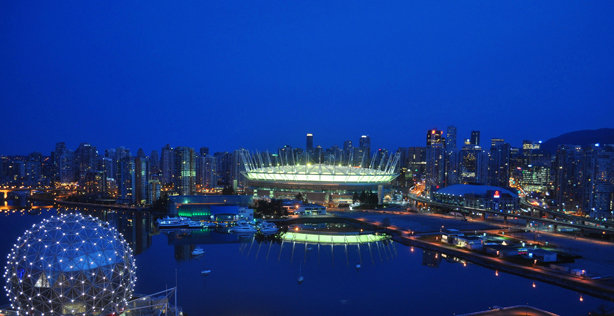 • Of the 15,689 homes currently for sale on the MLS® in Greater Vancouver, 49.6% are listed for $600,000 or less. Of those, 1,321 are detached properties, 5,039 are condominiums and 1,419 are townhomes.